Elvis Presley came into the world 77 years ago on January 8, 1935, accompanied by an identical twin brother who did not live past the delivery room. 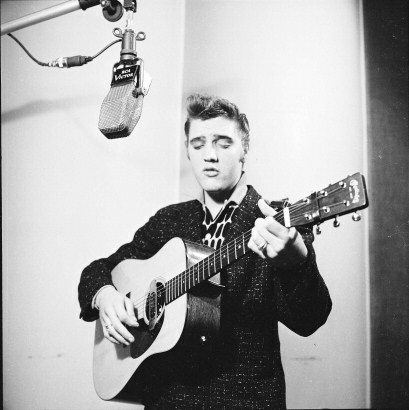 Elvis overcame that early family tragedy to become the King of Rock & Roll. This photo from the Sony Music library dates from a staged performance from the day of the King’s first RCA contract signing in December 1955.